The Eight 15 is ideal for upgrading your bedroom blaster with authentic British tone. Well-balanced midst and highs complement a surprisingly meaty bottom end - it's just about the biggest sounding eight inch speaker we've ever heard! SPECIFICATIONS Power rating: 15W ; Nominal impedance: 16 ohm ; Sensitivity: 95 dB ; Frequency range: 100-5000 Hz ; Unit weight: 2.2 lb ; Shipping weight: 3.1 lb. 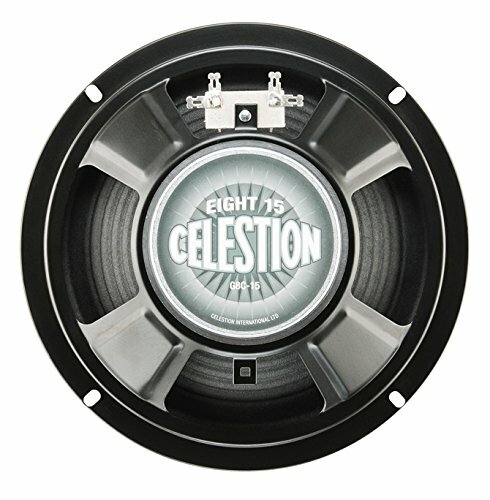 If you have any questions about this product by CELESTION, contact us by completing and submitting the form below. If you are looking for a specif part number, please include it with your message.